At Quality Body Works Inc, our team members work side by side to provide the best possible service. They make it happen because they’re talented, intelligent, hard-working individuals. We make sure they stay that way by providing for continued education opportunities – it all leads to better results for our customers. Our team members are experts in the latest technology, with training from: ASE, ICAR (Gold Class Certified), ASA, vendor-related, and management and customer service programs. Most importantly, we take the Golden Rule to heart and strive to live by it. This translates not only to our relationship with customers, but also our relationships with employees, vendors and insurance companies. 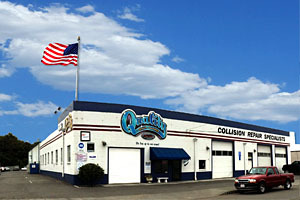 At Quality Body Works we believe this is the basis for our lasting success as a company and as individuals.